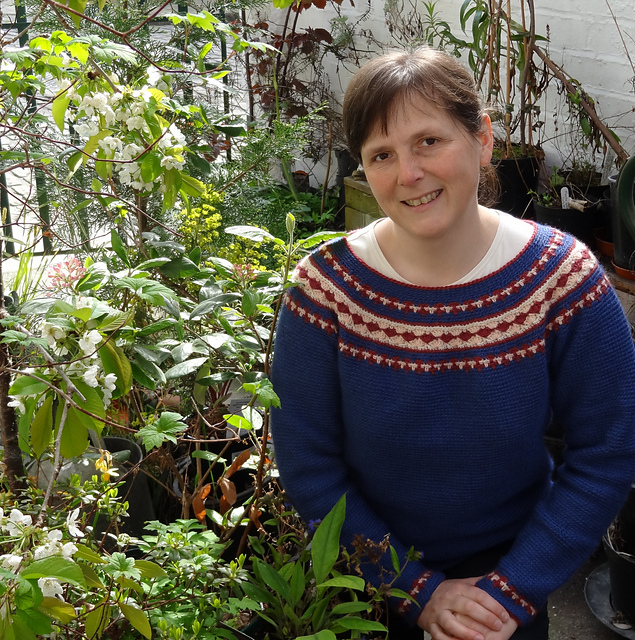 Clare enjoys working various forms of lace and needle crafts, in particular crocheting, bobbin lace and knitting. 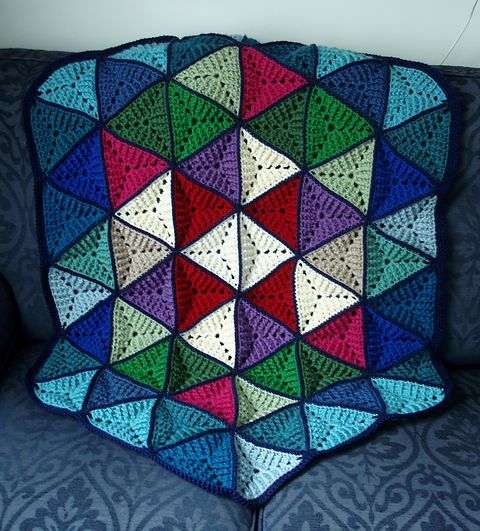 This page shows a selection of items that Clare has made and links to their pages on the knitting and crochet website - Ravelry.com where there are more pictures and comments. 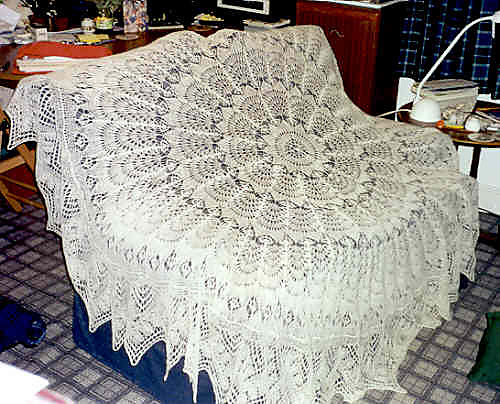 There are no bobbin lace projects linked from here yet, but there will be soon. Technicolour triangles rug A very warm lap rug. Northern dreams jumper Crochet jumper with a Fair Isle effect yoke. 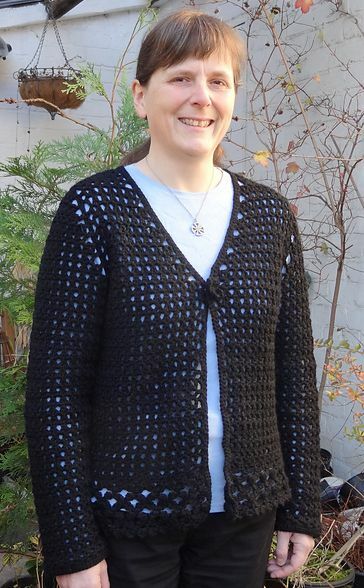 Black cardigan Crocheted to keep me warm when singing in cold places - it's already successfully done so several times. 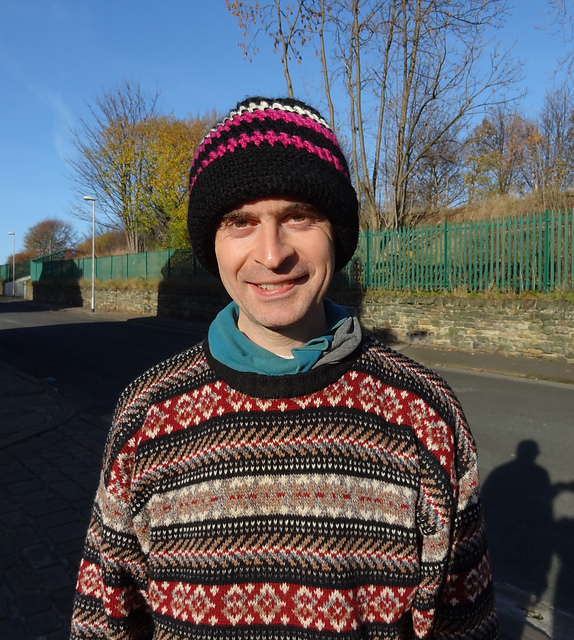 Reversible strands hat Made for Daniel and he's worn it a lot - a very warm hat. 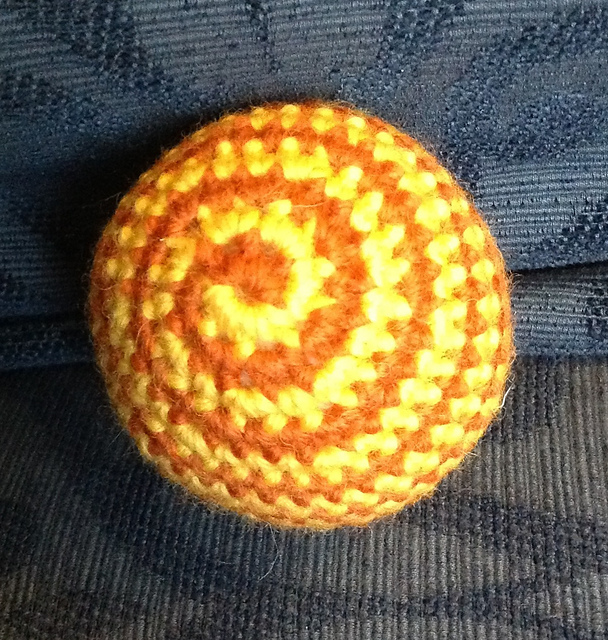 Spiral ball Spiral with two colours - made by doing half a row in each colour at a time. 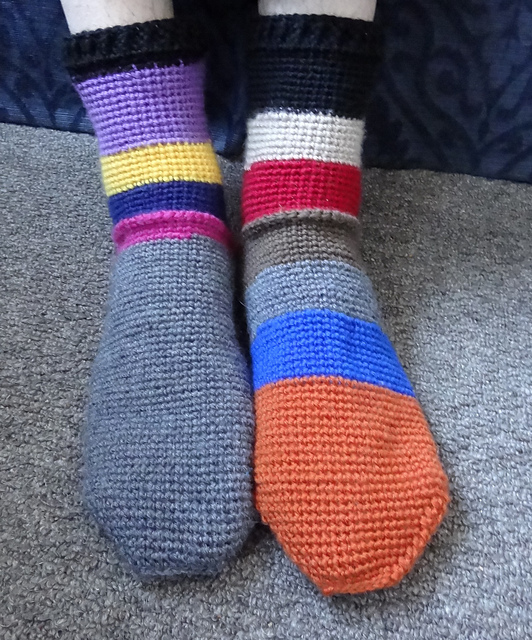 Tullow socks Crochet socks that start in the middle and work outwards in both directions - works very well. 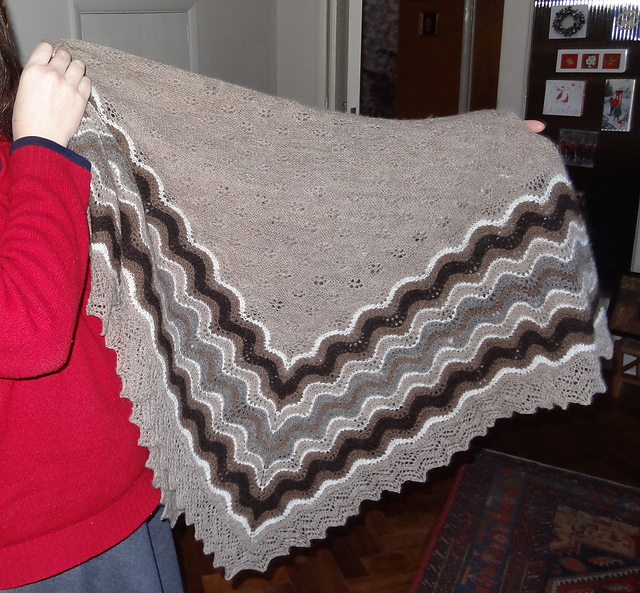 Ishbel shawl For Mum for her 70th birthday. Very soft in angora. 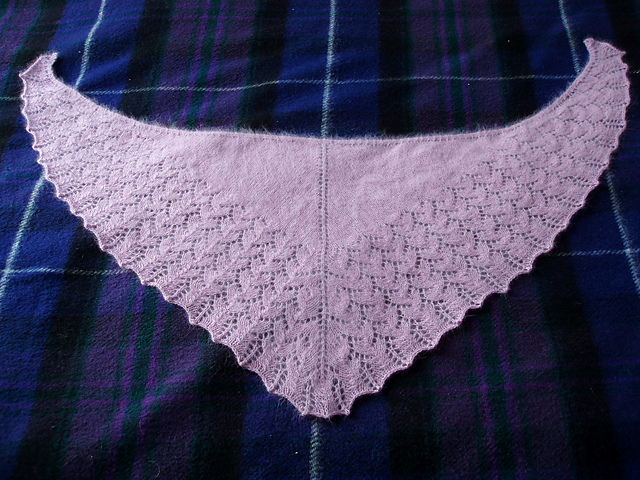 Shetland hap shawl Uses natural colours of Shetland wool. For Désirée for her birthday. Spanish peacock shawl An enormous shawl in Shetland wool. 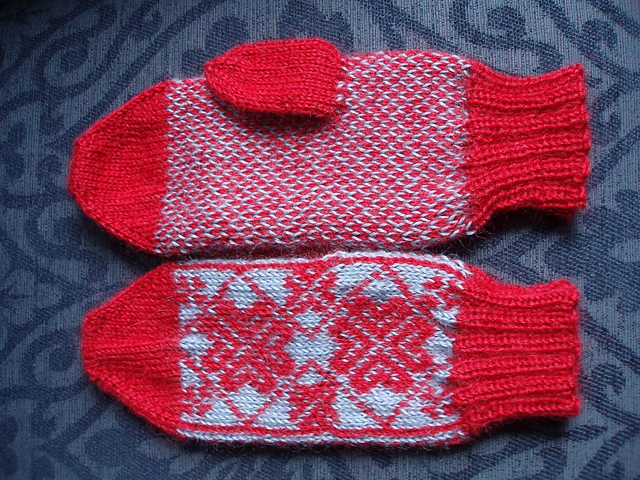 Corazon mittens My first attempt at Fair Isle knitting. A bit irregular, but not too bad! 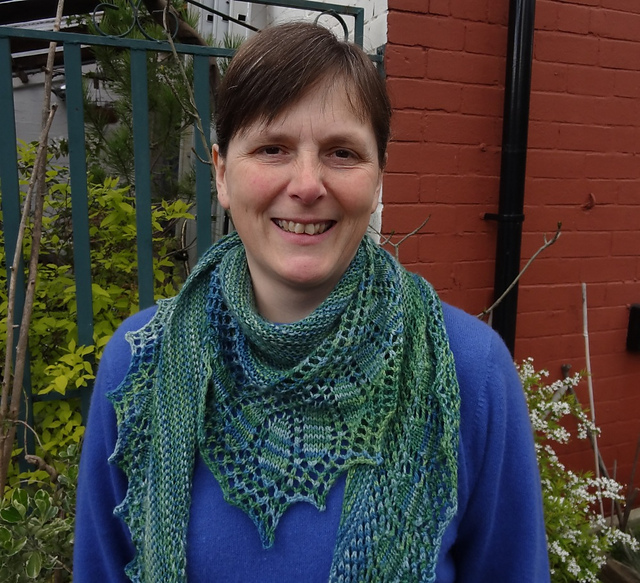 Magrathea shawl Soft Blue Faced Leicester wool - lovely to wear.